The weather is so cool now, and that makes it the perfect time for getting your garden beds ready for planting. There are not many times during the growing season when the beds are dormant and easy to work with. Use this time wisely now, without the heat, and your plants will thank you for it when it’s time to start gardening in earnest. The Gardening Cook is a participant in the Amazon Affiliate Program. This post may contain affiliate links. I earn a small commission, at no extra cost to you, if you purchase through an affiliate link. There are lots of steps that you can take to prepare you garden beds for spring planting. Preparing spring flower beds means having great soil that is weed free and just sitting there asking for you to give it a pretty face. And the cool weather is the perfect time to accomplish this. One of the first steps to take for preparing spring flower beds is to see what you already have in the way of soil. The level of most soil nutrients are readily available if the pH level of the soil is in the 6 to 6.5 range. Having soil levels far above or below this level and mean that some nutrients that plants need will be less plentiful. Too high a pH level can deplete phosphorus or even make the soil toxic to plants. Too low a level can make the soil acidic and stunt many plants growth. Be aware that there are some plants, such as azaleas, hydrangeas,and rhododendrons do like an acidic soil. Adding coffee grounds to the soil around these plants can help. Soil pH levels can be tested any time of the year but it is best done in the fall. The main consideration is to test the soil when the ground is not really wet or right after it has been fertilized, which is why fall testing is recommended. 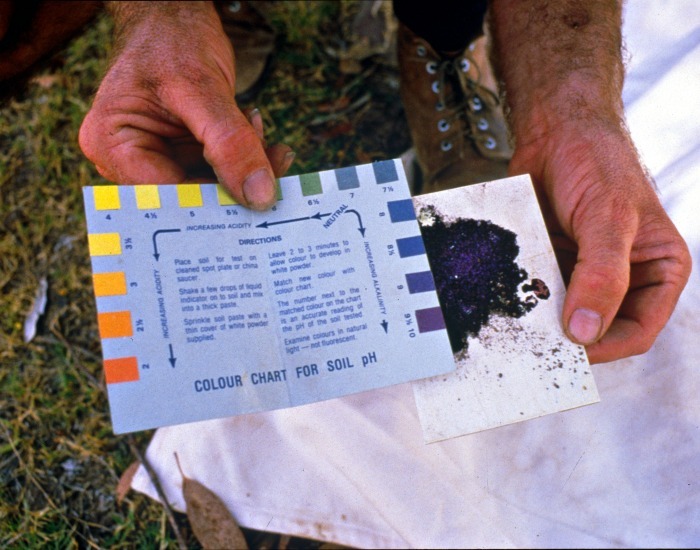 Getting a soil test can help to take the guesswork out of making sure that your soil has the right nutrients. Many State Department of Agriculture agencies will test soil for free at certain times of the year, so it’s good to consult your local authority. You can also purchase soil testing kits are garden centers and online. Amending your soil – solutions for soil problems. 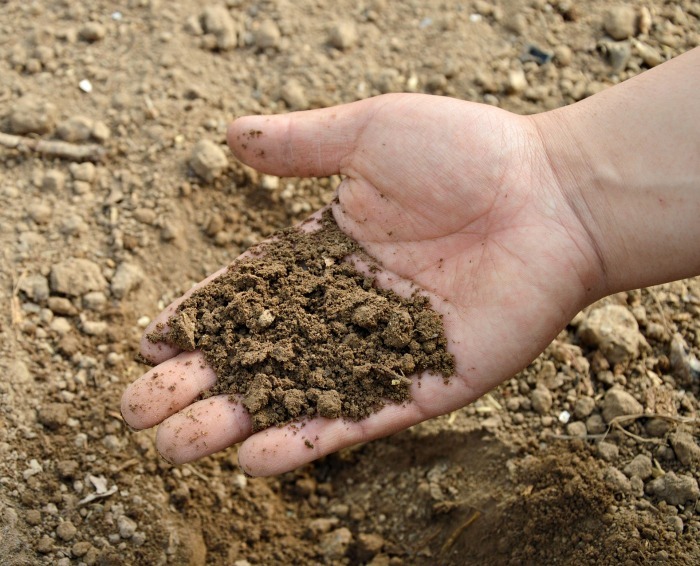 For soil that has too much clay in it – add compost, peat moss or coarse sand. Lime also helps to loosen clay soil. For soil with extra acidity – add compost, lime or bone meal. 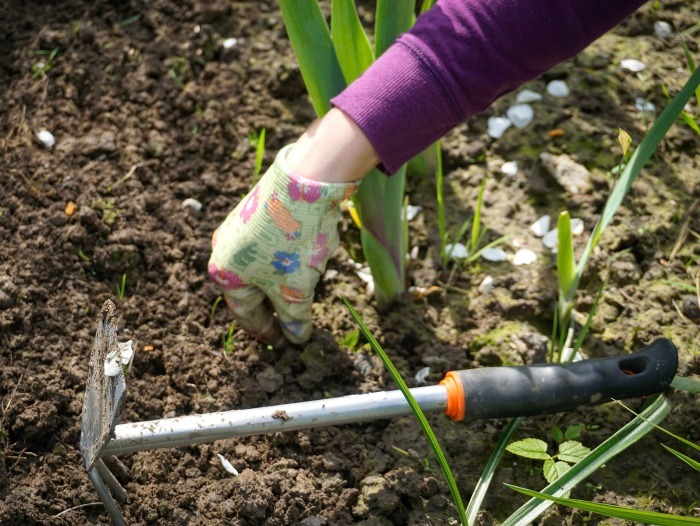 Preparing spring flower beds means making sure that you keep adding to your compost pile. You’ll be needing those extra nutrients in just a few weeks, no matter what your soil type is. Compost makes the BEST plant fertilizer! For lots of tips on working with compost, be sure to check out my composting guide. manure makes a great conditioner for poor soil. 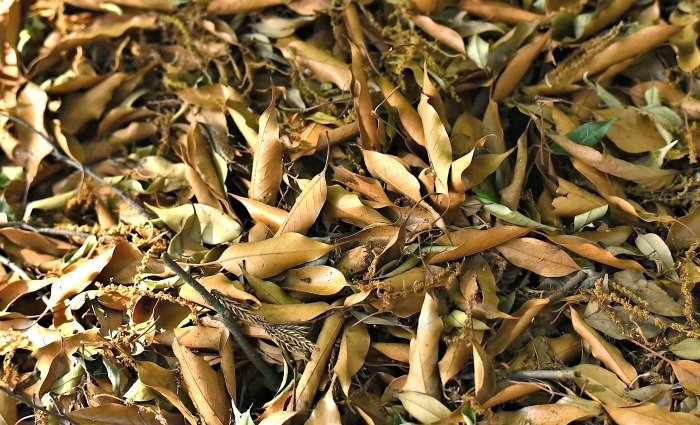 Leaf mold is considered one of nature’s natural fertilizers. It’s easy to do and makes use of leaves that many people bundle up and have collected by the city. Getting your soil in optimum shape is easy to do if you make use of one of Mother Nature’s gifts to you – fall and winter leaves. They are plentiful, free and normally easily collected from your own yard or your neighbor’s yard. After all, who is going to complain when you tell them that you’d like to take away their fallen leaves? This step can be done all winter long. 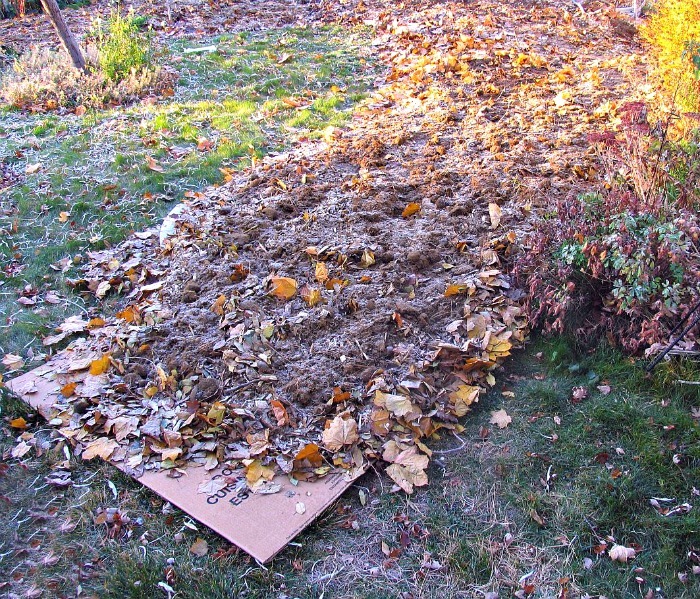 Just collect dry leaves in 30 gallon trash bags and crunch them into smaller pieces. Place them in the sun and poke lots of holes in the bags. Water the leaves thoroughly and allow them to sit in the sun for a few weeks. The black bags will act as a solar composter for the leaves. They will break down in as little as a few weeks making leaf mold that you can add to your garden beds, or around cold hardy vegetables to add extra nutrients to the soil. The leaf mold will continue breaking down, and enrich the soil beautifully. This type of mulch is great for adding to new garden beds where the soil has not been amended. It’s also a great way to protect areas of established beds that have spring blooming bulbs just waiting to grow in a few weeks. They will love the extra nutrients. Examine the garden beds in early spring. Early spring is the time to give your garden beds are good once over. The rains of winter, and walking on soil will make it very compacted. 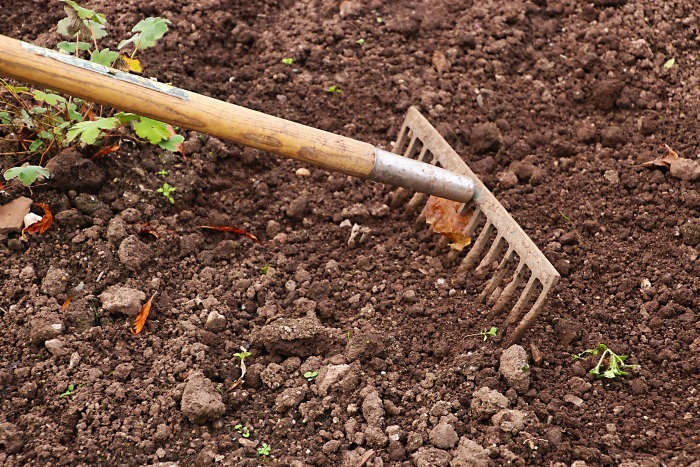 Raking and tilling it should be one of your first priorities. Doing this allows the soil to dry out and warm up for the rays of the sun so that the roots of plants will work their way into the soil more easily. If you have a new bed that has not been planted in yet, go over it and remove rocks, roots and other unwanted items. Add compost or other organic matter and give some thought to what you’ll be planting in your new bed. Late winter and early spring is my favorite time to tackle the job of weeding in my garden beds. The weather is cool, I am anxious to get gardening again even though it is too early to plant, so weeding is more of a pleasure for me this time of the year than a chore. Weeding early also gives you a chance to evaluate your garden beds, think about what worked last year and move things around without causing perennials too much stress. The soil in early spring is evenly moist which makes most weeds come out easily. Do the job now and you’ll be so thankful when the heat arrives that you don’t have to do this task in much warmer conditions. Lasagna garden beds are a great way to plan ahead to have beds ready for spring that are ready to plant. To make a lasagna garden bed, just place layers of garden refuse, kitchen scraps, cardboard, paper, covered with hay or straw, over an area of lawn. By the time spring arrives, the bed will be weed free and ready to plant without any tilling needed. This type of bed is often done in the fall, but I have made lasagna beds in just a few months by doing them in early spring with great success. They do need some time for the organic matter to break down though so you’ll need to plan ahead with them. This great video from Horticulture magazine and Osmocote shows step by step instructions for preparing a new garden bed. Now is the time to start some seeds indoors to get a jump start on spring. Even though it is too cold to plant outdoors right now in most parts of the country, you can still get a jump start on spring by starting seeds indoors or in cold frames. In just weeks the weather will be right for planting and you’ll have some seedlings that are ready to go into your prepared garden beds. You can use standard garden pots, peat pots or even inexpensive seed starting containers from household items. Just find a sunny window and get those seeds started now! While it may not feel like it right now, spring is right around the corner. 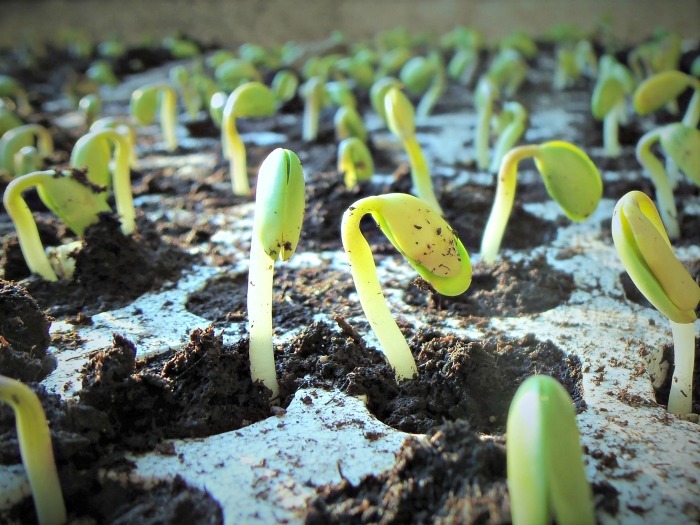 It’s time to bring out the garden tools (which you will have winterized last fall, hopefully), tend to your soil, and get some seedlings growing indoors to make sure you are ready for spring gardening. What steps do you take for preparing spring flower beds? I’d love to hear your comments on the steps you take in preparing spring flower beds. Admin note: This post first appeared on my blog in October of 2012. I have updated the post with new photos plus additional information for preparing spring flower beds to make it a more complete article. I hope you find it helpful.